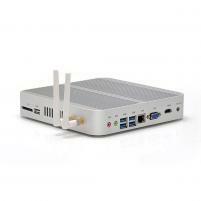 The Penguin Mini 2 GNU / Linux desktop Desktop packs a lot of power into a small package. It's fast, upgradeable (ram/hdd/wifi) and based off the latest seventh generation Intel technology. International Order? We stock US/Canadian, [censored] ("UK" style plug type G), [censored] ("Europplug"), Japan, New Zealand, and Australian AC adapters/plugs. For other countries please inquire. Shipping to most international destinations takes 3-5 business days. Taxes/duties not included. If the configuration you want is not an option below please contact support with your regional requirements. Most recently released distributions are supported out of the box. Contact us for details about support for your preferred distribution. mSATA SSD drives are a new smaller form factor type of hard drive that are much faster than traditional spinning disk drives and are found in newer higher end computers. SSD drives will usually cut boot and application start times by about half. An optical drive lets you access the legacy DVD and CD media formats. With it you can watch movies, rip music, or access old backups. 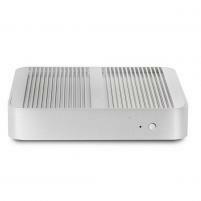 Optical drives can also be useful for recording small amounts of data for physical distribution to others.